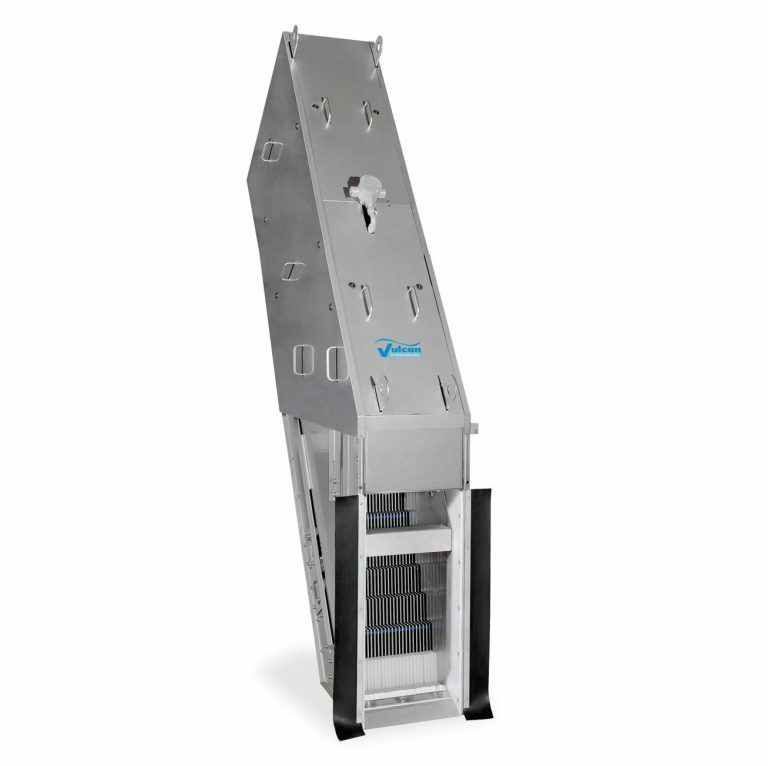 The Model ESR-S Stair Screen is an automatic, self-cleaning, fine screen for primary screening or sludge screening in municipal and industrial sewage treatment installations. Its design is ideal for low flow and small channel applications and allows for easy installation in new and existing facilities without channel modification. With a maximum setting angle of 57 degrees, the ESR-S Stair Screen has a compact overall footprint. The screen pivots from the channel to allow for all maintenance to be accomplished at the operating floor level. Formed stainless steel plate side frames, thickness of 0.16″ (4 mm).